Shooting out the back window? Fine. But from the front seat? Experimental. 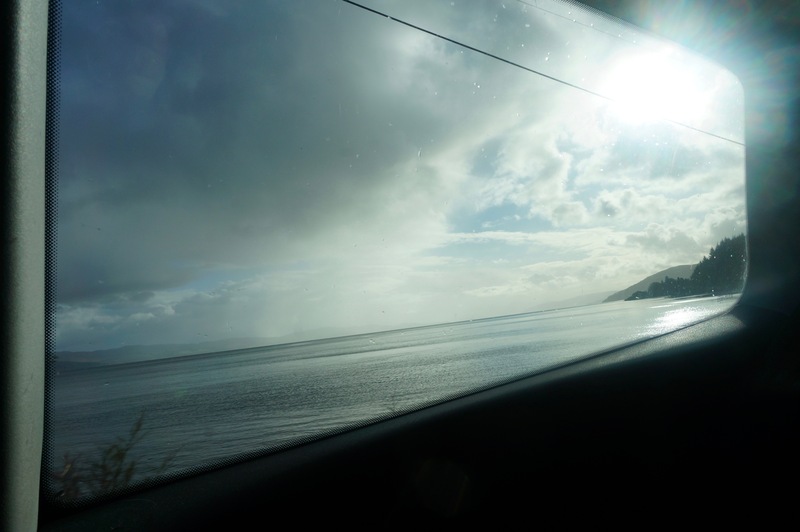 Driving around Loch Gilp, and through (the aptly named) Lochgilphead, is a damn fine sight. Admittedly, I could’ve waited five minutes for a better view, but impatience got the better of me and I wound up taking any angle I could get. CHECK-IN: After a week away in the West coast of Scotland (complete with daily Insta-stories), it’s back to work. My posting schedule will be changing Mondays/Fridays, and Sunday Round Ups every other week, starting this very Friday with the next installment of the Playwright’s (unofficial) Guide! Post-snow blues ☃️ Snowed in, staring at the clouds hiding #montblanc and #aguilledumidi. Ideal #writersview.